This post is part of a blog series celebrating the American Musicological Society annual conference taking place in Vancouver, Canada from November 3–6. Please visit our booth if you are attending, and otherwise stay tuned for more content related to our Music books and journals programs. 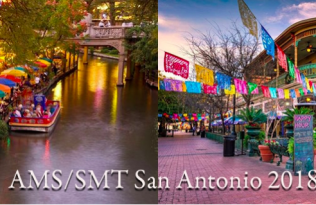 Whether or not you are attending the #amsmt16 conference in Vancouver, you can access a special selection of free content from our music journals. 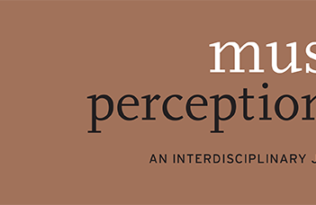 For a limited time, Journal of the American Musicological Society, The Journal of Musicology, Music Perception, and 19th–Century Music are making select content available to subscribers and non-subscribers alike. The Editorial Board of the Journal of the American Musicological Society is pleased to present the Journal’s first virtual issue. The aim of this inaugural issue is to offer a diverse swath of current scholarship to a broader public. To that end the virtual issue showcases three recent colloquies—collections of brief essays by multiple authors—whose themes range across singing and song literature, performance studies and vocality, aesthetics, disability studies, and philosophy. 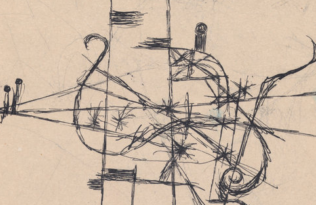 The most recent issue of The Journal of Musicology focuses on Russian music, with articles by Leah Goldman, Gleb Tsipursky, Anne Searcy, and Richard Taruskin. Each scholar rejects the simple top-down totalitarian model of state control that once dominated western conceptions of Soviet musical creativity. Yet they also go further, examining precisely how creative choices were made within the Soviet state. They offer fresh insight into issues of individual creativity and the construction of musical meaning, as well as explore the complex layers of bureaucracy that influenced artistic production. In recent years, and especially within the last decade, activity and interest in musical corpus research—that is, research involving statistical analysis of large bodies of naturally occurring musical data— has increased dramatically. 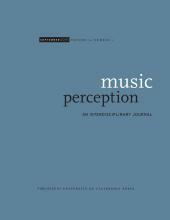 In view of Music Perception’s longstanding dedication to scientific, empirical approaches to music research, the journal has devoted two special issues to the topic. The articles represent the diversity of research methodology in the field. 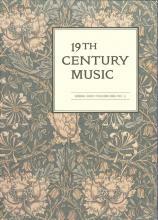 Repertoire studied ranges from common-practice classical to jazz, and there are studies of compositional style, investigations into theoretical assertions and historical practice, a meta-study on stimulus characteristics used in perceptual studies, and a study on pattern recognition and production in improvisation. You can read the special issues here and here. Last year marked the 150th anniversary of the end of the American Civil War and the publication at roughly the same time of the original version of Walt Whitman’s collection of Civil War poems, DrumTaps. To commemorate these events, 19th-Century Music has published a special issue on Music, the Civil War, and American Memory. The issue looks at how music proved to be one of the chief vehicles for constructing and transmitting Civil War memory and at the important, though belated role, that Whitman’s war poetry played in the process.